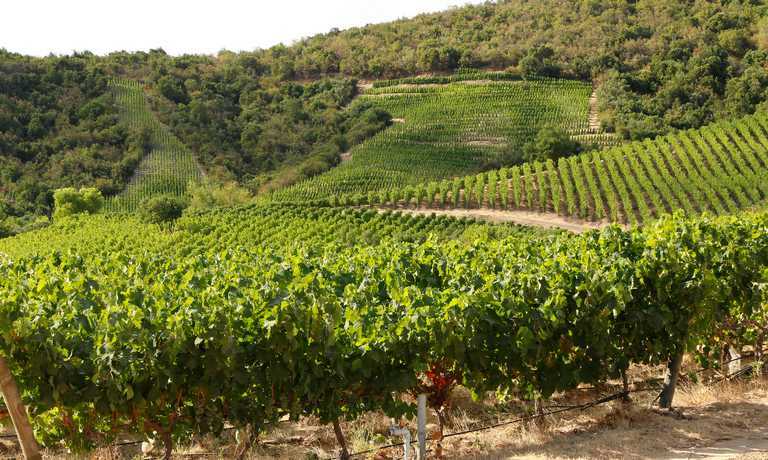 Step back in time to tour 7 independent winemakers in Maule - a largely undeveloped region just south of Colchagua. Here they focus on traditional winemaking practices used over a century ago. Stay in a luxury family-home. Your guide will meet you in your Santiago hotel, and you will be driven approximately 3.5 hours south of the bustling capital towards the tranquil Curico and Maule Valleys. 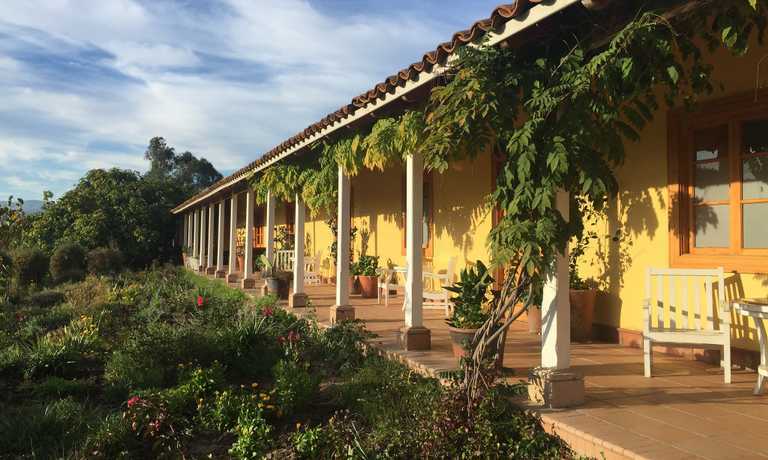 You will first stop for a tour and tasting at Casa Silva, the oldest winery in the Colchagua Valley. This winery is known for its award-winning Carmenere - Chile's signature grape. You will enjoy a delicious authentic Chilean lunch in the main house. By mid-afternoon, we will arrive at the family-run Gillmore Winery and Vineyards. During your tasting, you will appreciate how the artisanal practices and dry farming produces such fine wines. They have received wide recognition for their 2006 Cabernet Sauvignon. After your day filled with delicious food and wine, we will make our way back to the Bouchon Family wines, the family estate of Julio Bouchon. You will spend the evening at the Mingre Guest House, a colonial-style family home dating back to the mid-19th century. The adobe walls and wood beams welcome guests to relax by the fire and experience country life from the perspective of a bygone era. You will arrive in time to enjoy a signature home-cooked dinner such as Chilean "liebre," or hare slow-cooked in red wine or "ciervo," venison from deer sustainably hunted on the property. These delicious, time-tested recipes are paired with one of Bouchon Family Vineyard's excellent small-batch reds, letting the complex flavors in both food and drink complement each other fully. After the evening meal, you might choose to soak in the uniquely-crafted Bouchon barrel hot tub. Today we will make our way to El Viejo Almacen de Sauzal. Upon entering this tiny town, we will find ourselves in an old, abandoned country store, where Renan Cancino is making fine wines from three old bush grapes grown in Chile for centuries - Uva Pais, Carignan and Grenache. He's got just 4 hectares, and still no stainless steel. Storage and aging occurs in terra cotta amphoras and barrels. You will then visit the Caliboro Reserve winery, owned by Count Francesco Marone Cinzano, who also has ties to well-known vineyards in Tuscany. Since 1994, Caliboro has cultivated a plant nursery with vines imported from France, many of which are unique in Chile. Here is where you will enjoy a rustic, traditional Chilean lunch. Return to Mingre in the late afternoon to relax and unwind in the Chilean countryside. Continuing deeper into the Maule Valley, we will pick up the tracks of the "ramal", Chile's last narrow gauge railway, to end up in Vina Gonzalez Bastias. This winery's vinification process uses traditional bamboo-like mats rather than machinery. Here they make four wines, three of which are 100% Uva Pais, a grape long grown in Chile for domestic winemaking but which is recently making a comeback. 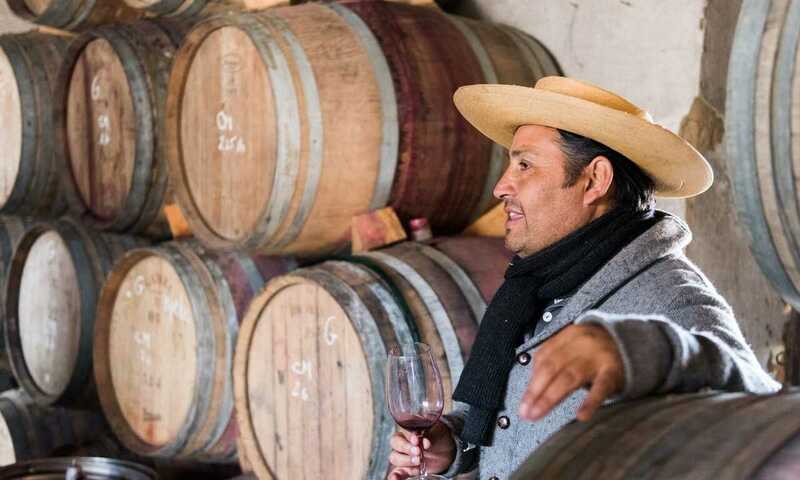 Come mid-afternoon we will return to the Mingre Guest House to begin a tour of the Bouchon Family Wine's bodega and experience a premium tasting and afterwards enjoy a hearty Chilean lunch. The rest of the afternoon is free for you to take a stroll around the vineyard or try horse back riding or mountain biking. As nighttime falls, you will be seated for your last dinner among the vines. Say goodbye to your hosts and finish your trip with an exploration of the Cahapoal Valley. We will visit the Altair Vineyards for a tour, tasting and lunch. This winery is owned by the Chilean wine giant - San Pedro. However they do things differently here and all harvesting is done by hand, in multiple passes through the vineyard, and berries are double sorted before crushing. From here, you'll be taken back to Santiago. This trip can run as a group trip, with prices starting from $2,083 per person for a complete group. If you are looking to join a group or you are a solo traveller we will help to form likeminded groups of travellers. Please let us know your travel plans.